Looks like it comes with an Arad emblem though, so that's something. But that emblem wasn't in the box art though. Makina is. Uhm. The Makina shown on the boxart is not wearing a pilot suit and not in the pilot seat position. 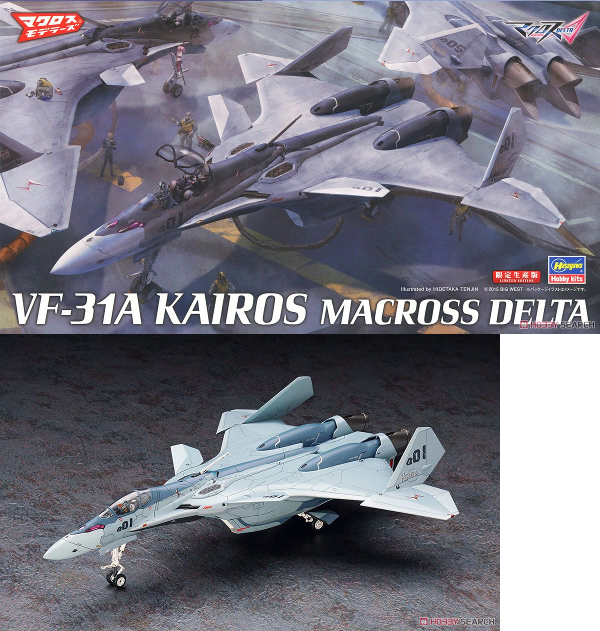 Why is the VF-31A Kairos listed as discontinued on the HLJ site? It was supposed to be released this month. I got my four in my PW right now... perhaps they sold out of their expected stock? What slide said. They went from Order Stop straight to Discontinued. Shame, too. For what it's worth, the VF-19EF/A, also a limited-edition kit, was originally released in March and is getting re-issued in December. Chances are good the same will happen with this kit, since it's so popular. Here's another chance. Go go go! Tempted to buy one but who am I kidding? I took a look at the 1999 pictures of sprue and manual, and again I am reminded that I barely have time to do it. Hot potato is gone..hey wait a min this ain't a DX! Yep, I missed out on the Hasegawa VF-1D Gerwalk with the little Minmay figure thinking it was Hasegawa and they're not like Bandai DXs - boy was I wrong! Then why you're in the Model Kits section? I got a payment request for my VF-31A Kairos from HLJ. I only ordered one though. Since it's a version that required some significant new tooling, I would hope that they'll release a limited edition decal variant of the VF-31A later on. To get more profit from the toolings. It wasn't that significant, I don't think. It only replaces the canards, wings, head, and bits of clear pieces. That's not too different from other LE kits. Well, we got a limited edition VF-0C with delta wings based on the delta wing VF-0D, so there's a precedent for this. Oh yeah, definitely I also hope they'll do another release of it. I just don't think it cost them much for the extra tooling was all; I'm sure they've made their profit with just this batch of already sold out kits. A VF-31B wouldn't be a bad idea, especially since it apparently exists in-universe. It'd be a nice opportunity to shed some light on its properties. I can't find an online reference for what the VF-31B looks like. But I appreciate all basic/cannon-fodder units. Still can't understand why Hasegawa hasn't done a VF-25A (or YF-25). Very easy mould-recycling opportunities. Yes, I am curious too. 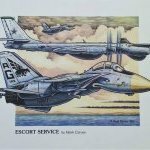 What is a VF-31B? Yep, though it's one of those variants that's mentioned but never seen. Another mass production type like the VF-31A. That's literally all we know about it, that it exists. Well, let's hope for a DX version instead. Interests:Aerospace, Defense, Scale Modelling, Macross, Off-Roading, Photography, Outdoors. 1/72 VF-31C Siegfried (Mirage Farina Jenius Unit). December 2017. Y3800. Great heads up !. Pre-ordered. Hasegawa has released SO many VF-1 repops... and also a fair number of variants for their YF-19, YF-21, VF-0, and even VF-11 kits. So the relatively reserved amount of VF-25 versions so far seems strange. You have to consider that most of the reuse of existing mold did not happened in a short period of time. So the relatively reserved amount of VF-25 versions so far seems strange. Counting the Supers and such, there are already a bunch of versions of the VF-25. In only a few years, too. ...but anyway, now we're getting off track. Has anyone shipped their kits yet, or are you waiting for September/October releases like I am? Notice how the box art and production photos are different? It's just a change in color palette and lighting, for sure, but I do like the darker tones of the box art scheme. Maybe I'll do one in that, one in the recommended colors. No, I'm going to trickle-in the rest of the available Delta kits into my PW, then ship it all... a MINIMUM of 1 pay-cheque before my Local Comic-con at the end of October. I shipped mine. Will hopefully have it mid-September to add to the backlog pile. Mines getting done more like the box art than the recommended. And looking at it, it looks like the major difference is just the outer wing section and the paint/decals. You could backdate the VF-31J to the A with a scratch built outer wing. Tried to order from them. They ended up canceling my order because they didn't have any in stock. They seem to be one of those sourcing companies -- not sure if that's what you call it, where you order and they see if they can get it for you. Dang.. I totally regret not jumping on the pre order. Didn't think these were going to fly off the shelves like the DXs. This variant is beautiful. Wish they would have used it for the main valk instead of the FSW. FSW is so played out imo.